On April 18, 2011 I had the unique experience of changing from a college student to a proud Bostonian and finally to a religious leader. First, it was my birthday! In addition to finally having the responsibilities of an adult, my birthday is always an excuse to get all my friends together, speak to all of my family and simply bask in a day of celebrations dedicated to me. Specifically, it was my 21st birthday, which meant at midnight, my close 21-year-old friends and I entered a bar and bought me my first drink! Second, my birthday took place on Patriot’s Day! Patriot’s Day is also the Boston Marathon a.k.a. Marathon Monday. 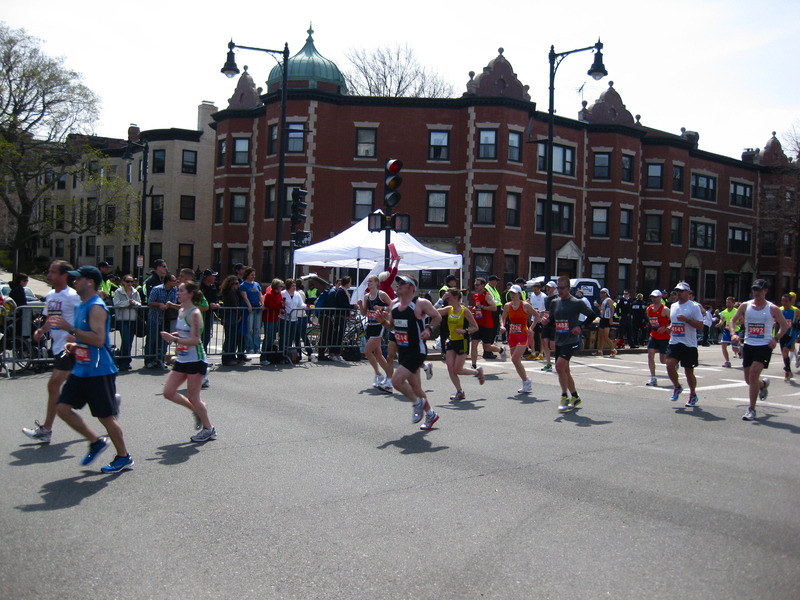 The Boston Marathon is an annual marathon hosted by the United States every third Monday of April. Beginning in 1897, the Boston Marathon is the world’s oldest annual marathon as well as one of the five World Marathon Majors. The City of Boston closes the streets, college campuses and declares it a city-wide holiday, welcoming local and international travelers to come together in celebrating Bostonian pride. Waking up early on my birthday, I quickly joined my friends to watch the Boston Marathon runners begin their long (or short if you’re from Kenya) journey through Boston. Luckily, the race travels right through BU’s campus. After eating a delicious crepe breakfast, my friends ran down to the intersection of Beacon and Park Street to cheer on the runners. The Boston Marathon provided a quick glimpse of what my life would have been like at a warmer, school-spirit centered school. Even though BU doesn’t emphasize school spirit, we have Boston pride. 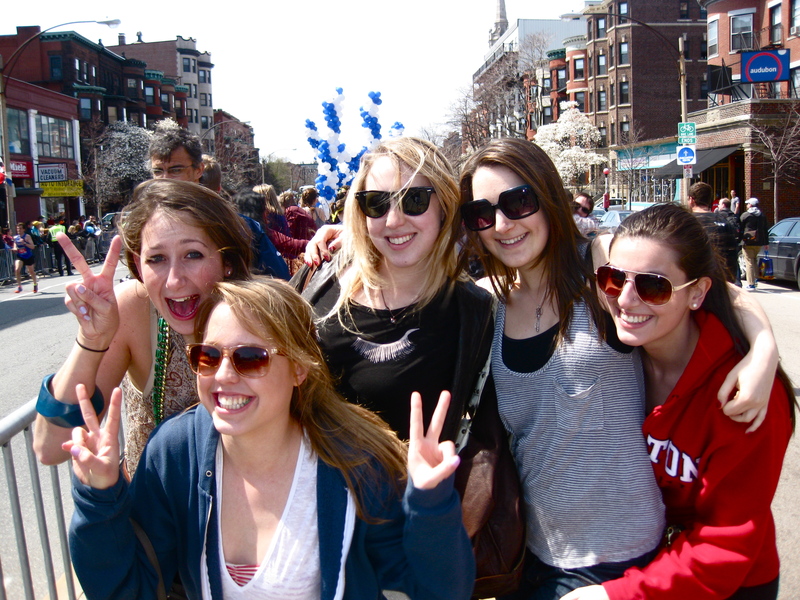 Cheering on the runners, dancing to music in the streets, seeing friends, professors and mini-celebrities like @BostonTweet, all culminated in one of the happiest college days I’ve ever experienced. The day reminded me how much fun you can have with close friends and strangers when everyone has the same energy bursting through our bodies. Finally, in addition to the madness of my 21st birthday and the Boston Marathon, it happened to be the first night of Passover. Leaving the Boston celebrations early, I headed down the street to my friend Nate’s Passover Seder. Nate, an outstanding bass player at the Berklee College of Music, cooked a delicious matzah-enhanced Seder meal, complete with matzah ball soup, charoset and a delicious brisket. 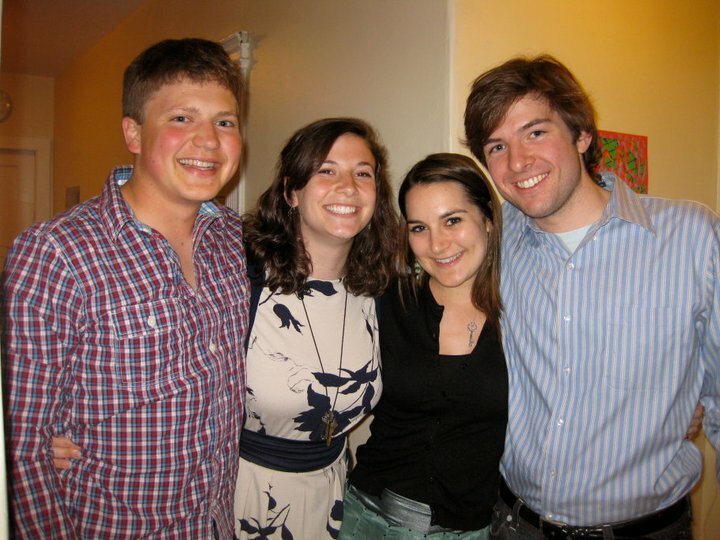 My other close California friends traveled from Brown University and Amherst College to celebrate Passover-Bay Area style. It was such a nice change from the crazy energy of the mornings festivities. While sitting on pillows Indian style, we reminisced our NFTY Jewish youth group days and retold the liberating Passover story. Although not on my actual birthday, the next day I led the Boston University Hillel Passover Seder. Leading my first seder, especially with the 60 attendants, was quite daunting. I decided to open the Seder with a slow guitar redemption of Hinei Matov, then begin the telling of the story. I led the Liberal Passover Seder, assigning most of the English readings to participants and reading the transliterated Hebrew myself. During the “Four Questions” part, I assigned the youngest children (the freshman) to sing the verses. 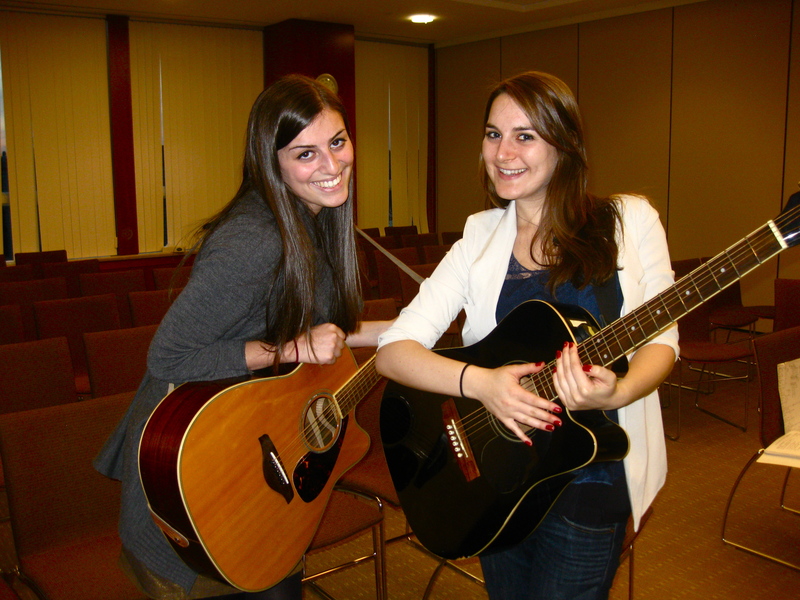 Near the middle of the Seder, I used my guitar to play Bob Marley’s “Redemption Song/Michamoha” with no capo. The actual dinner was delicious and I didn’t even mind the matzah-enhanced dishes again. 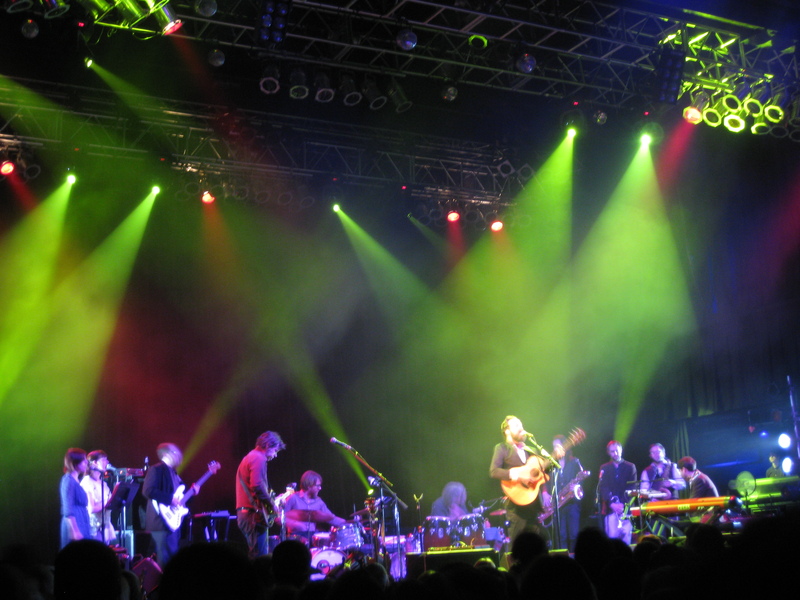 After the Seder ended, I quickly walked down the street to the House of Blues and saw Iron & Wine in concert. 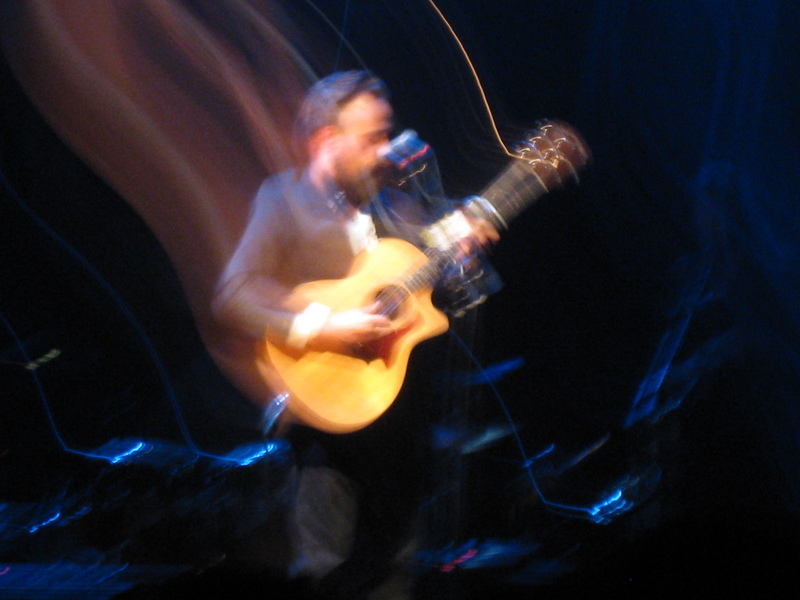 A long-time admirer of Iron & Wine, I was pleased to hear my classic favorites alongside new folky songs. The actual band was made up of 11 performers: 2 back-up vocalists, a banjo, a drummer, a keyboard, a piano, a synthesizer, a bass and the leader singer and front-man Sam Beam. All in all, one of the best birthday weekends I could ever have asked for.